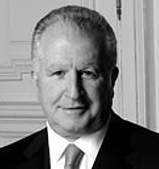 Marc is a Senior Partner and Real Estate Advisor to the Executive Chairman of Quilvest Private Equity. He established and led Quilvest Real Estate until December 2018. Before joining Quilvest in February 2008, Marc was for more than 7 years Alliance Hospitality Group CEO. A group of companies which owned and managed Goldman Sachs key hotel portfolios in France, Belgium and Italy (80 hotels +/10.000 rooms over the period), sold to Blackstone in October 2007. Prior to that, Marc enjoyed more than 20 years of direct experience in Real Estate development. As CEO of several private investment funds owned by banks or/and high net worth individuals, he led the concept development and construction of two up market multi-component resorts and smaller redevelopment projects representing 180.000sqm of new built floor area. He also developed and sold before construction Mariott first fractional ownership resort in Europe. In addition, over the same period, Marc had the opportunity to audit, re-engineer or redevelop a dozen mixed-use developments, significantly changing the course of events. On the hospitality front, he restructured, renovated and managed two hotel portfolios (other than Goldman Sachs’) which included independent luxury hotels and mid-market branded properties. Overall, Marc has directly managed the bulk sale, or, divestment process of clusters of assets representing transactions between US$ 50 Million and US$ 1Billion, totalling US$ 1,7Billion. Before shifting to Real Estate, he started his career as a Marketing Planner and then Client Servicing Director. For 6 years, he covered the MEA region advising international clients including: Gillette, Johnson & Johnson, Unilever, British American Tobacco, Rowntree MacKintosh, Toyota Cars, Singapore Airlines. Marc holds a H.N.D. in Marketing from the College for the Distributive Trades (London) and an MBA from INSEAD. He is married with two children.